"To be honest, I don't talk to them anymore," she said. "Kim I haven't talked to in a year"
Caitlyn Jenner attends the 2016 Vanity Fair Oscar Party hosted By Graydon Carter at Wallis Annenberg Center for the Performing Arts on February 28, 2016 in Beverly Hills, California. It's no secret that Caitlyn Jenner isn't on the best terms with the Kardashian family. During a Q&A at The Cambridge Union Monday, Caitlyn opened up about her family's reaction to her book "The Secrets of My Life." "I was blessed to have the Kardashian side of the family come into my life," Jenner said. "It's been a little bit tough over the last couple of years on the Kardashian side. To be honest, I don't talk to them anymore. Kim I haven't talked to in a year." She also claimed the "Keeping Up With the Kardashians" stars "don't want me in their lives" and that "they bashed me pretty badly" after the book was published. "It's devastating when your kids do that," she said. "It really hurt." Kim Kardashian West, for her part, told Ellen DeGeneres there were "certain things" Jenner wasn't honest about on an April episode of "The Ellen DeGeneres Show." "I mean, I feel like it's taken her a really long time to be honest with herself," she said at the time. "I don't expect her to be honest about my mom now, but it's just so hurtful. Like, I just wish her all the success in the world, but not at our expense." Jenner released her memoir earlier this year. In the book, she opened up about the progression of her life--from struggling with dyslexia as a child, to winning an Olympic medal, to coming out as a trans woman. She also revealed some dramatic insights, like how she contemplated suicide. She also claimed her ex Kris Jenner knew about her gender identity issues. Kris Jenner, however, tells a different story. In an episode of "Keeping Up With the Kardashians," she told Kim and Khloe Kardashian "everything [Caitlyn] says is made up." "I was curious and said, 'What the hell is going on?' She said, 'You just would never understand,'" Kris Jenner said in regards to her talking to Caitlyn about her identity years ago during their marriage. "And then, all through the book, Kris knew. 'Kris knew before I even made love to her.' I'm like, 'What?'" Still, Caitlyn Jenner defended her book, arguing she "tried to be honest" and was "very fair and very nice." "As far as Kris, when I met her, I had to be honest. She was aware of it at the beginning, but she put some restrictions on it. I had my own little getaways where I could go be myself," Jenner claimed. "She knew about it, but I just didn't do anything around her." 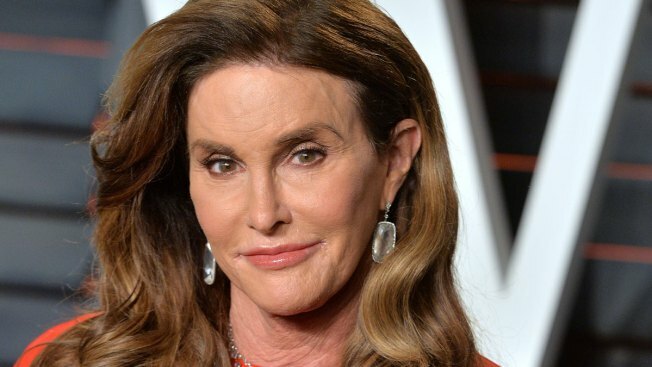 Nevertheless, Jenner doesn't attribute their split to her transition. "As far as us going our separate directions, it wasn't about trans issues at all," she said. "It just didn't work like it used to work." This also isn't the first time Jenner has talked about her family's strained relationship. During an interview on Today on Australia's 9 Network, Jenner said she "love[s] Kimberly" but that she hadn't talked to her in a "long time." However, Jenner hasn't cut off the Kardashians completely. She recently attended Kendall Jenner's 22nd birthday party with the family.